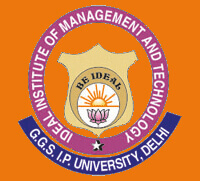 The IIMT Law College, Meerut is one of the reputed law colleges in Uttar Pradesh. It was established in 1892. It offers Bachelors Courses in various disciplines. The IIMT Law College is accredited by the Bar Council of India. It is affiliated with the Chaudhary Charan Singh University, Meerut. It is a Private Institute. The IIMT Law College, Meerut aims at providing quality education to students. The college grooms student’s talent and creativity. There are numbers of magazines, books and journals at the college library to help students in gaining awareness about the world. To aid students in law-practice, there are collections of case studies. Besides, students also get access to sports and medical facilities. A student should have completed Graduation from a recognised college/ university. The General or OBC Category candidates should have an aggregate score of 45% marks to become eligible for admission. The SC/ ST candidates are required to have at least 40% aggregate marks. A student should appear in the SLAT 2018 Exam to get admission. Students should have completed 10+2 to become eligible for admission in the Meerut. A candidate should take up the LSAT 2018 Exam. The LSAT (Law School Admission Test) is a national level law entrance exam that paves the way for admission in the law colleges of India. This exam is conducted by LSAC (Law School Administration Council).